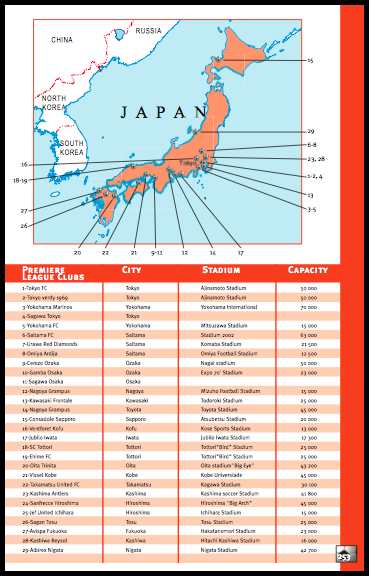 Soccer Explorers is now part of Footiemap.com. 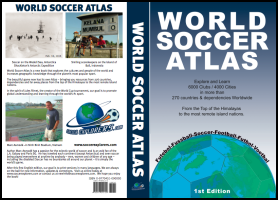 As a result of our partnership with Soccer Explorers, we are excited to offer the World Soccer Atlas (1st edition) for sale. The supply is limited, so hurry up and grab your copy today! 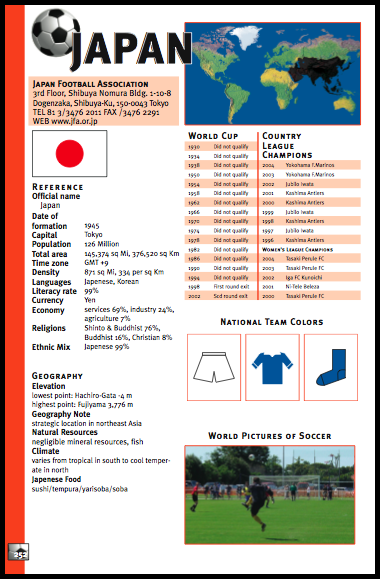 If you have any questions about the World Soccer Atlas, please let us know. Click the Buy Now button below to purchase this book at the special price of US$14.99. 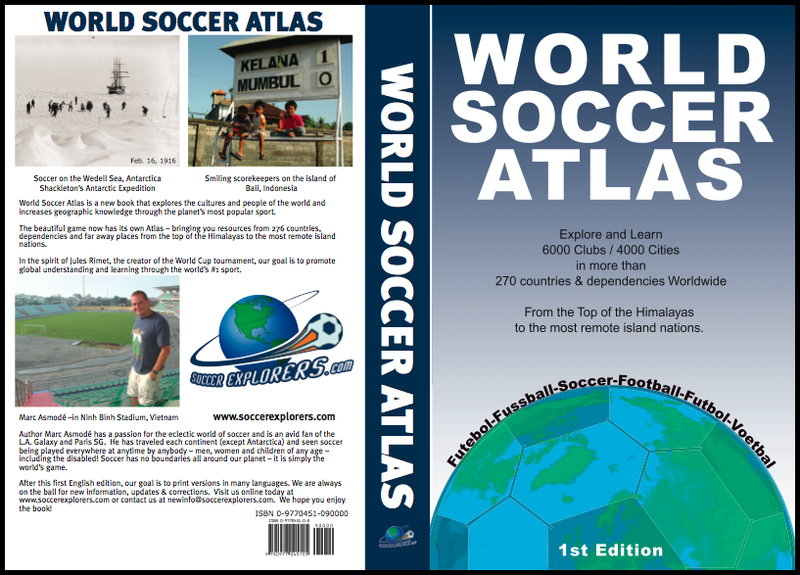 NOTE: We are offering this book to our Premier members and Footiemap Supporters at a discounted price of only US$9.99. If you are a Premier member or Footiemap Supporter, log in and then the below button will give you the discounted price. If you are not yet a Premier member, become one, or read our FAQ to learn about what it means to be a Footiemap Supporter. We have teamed up with a merchandising site, which sells football items at wholesale prices, along with special offers for our members. Become a member to take advantage of this. If you are a member, log in to see the current offers. Another merchandising site is SoccerPro, which sells superb football gear. We have received and tried out some gear and we'd like to share with you our experiences. Read our SoccerPro Product Reviews. We have Windows mouse cursors available. If you'd like us to create you a set of your club or national team, send us a donation and use the Contact Us form to tell us what you'd like us to create. Does your passion for football end at your computer? We didn't think so. We've set loose a couple folks on our staff to create some top quality Windows mouse cursor sets. Below are a couple freebies you can have and pass around to your friends. If you like 'em, please pass along to others. We'd love to hear from you. If you have any other merchandising suggestions or questions, please contact us. Thank you.